These days anybody can start an ecommerce business. For new ecommerce brands it can be an uphill battle when competing against online retailer behemoths like Amazon that seem to sell everything at the lowest prices. So how do you compete and differentiate your ecommerce business from all the others selling online? The solution for successful ecommerce sites and online retailers looking for a piece of the digital sales pie is how you market your brand online and speak the language of your future customers. An ecommerce marketing strategy that casts a wide net rarely works in the increasingly competitive online world. Instead, focus on your customer persona and speak directly to them with branding and experience through a targeted digital marketing strategy for ecommerce businesses. SEO is a key marketing channel for ecommerce websites. An organic presence, helps drive valuable traffic to your ecommerce or online retail website. Whether you’ve already chosen an ecommerce platform to work with or want our web developers to build your ecommerce website, we can help. Target potential customers that have a high probability of buying or people searching for competition with a Google AdWords strategy for ecommerce. Build awareness for your online retail business on the social media platform best suited for your potential customers with engaging creatives and content. Reach your potential customers via a content marketing strategy that communicates a cohesive message across all the relevant digital marketing channels. Without a brick and mortar store, ecommerce websites have even more reason to take their online stores to the top of Google’s search results. 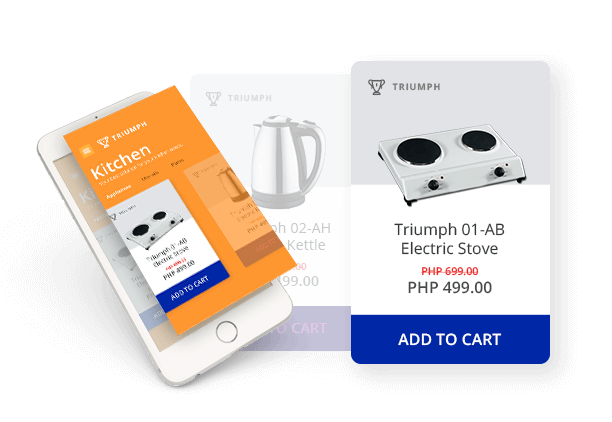 The good news for ecommerce sites and online retailers in the Philippines is that local competition for the top spot is not as competitive as it is in other countries. But the SEO strategy of an ecommerce or online retailer should be global in scope. Each spot below the top spot on the first page puts you further away from your future customers. If your competitors are ahead of you, their website gets the clicks. Getting the upper hand requires website optimization services that use a local approach to being discovered anywhere in the world – speaking directly to your potential customers. 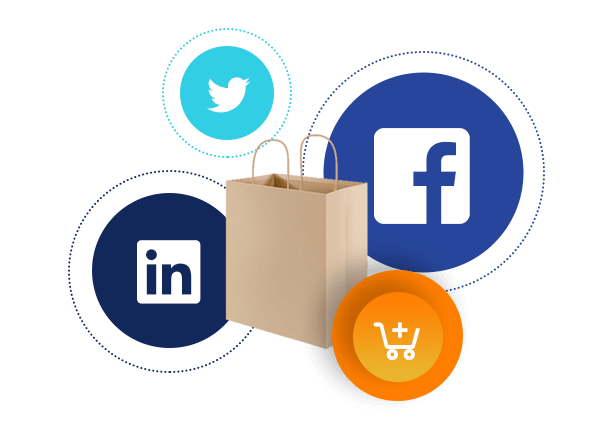 Generate Demand & Create Awareness with Social Media Marketing for Ecommerce. Traffic – Sharing loveable content on your social media profiles helps generate traffic to your ecommerce website or online store. Awareness – Generate awareness for your brand or for a promotion by using the data Facebook has about its users. Conversion – Push specific products and send followers to a landing page to make a purchase. Watch your conversion rates sore! Engagement – Engage with your target market, share relevant content and build your brand to develop brand loyalty/ambassadorship. Customer Service – Use social media as customer service channel. Answer questions and thank customers privately or publicly. Web Design for Ecommerce Sites That Create Memorable First Impressions. Before your future customers find out the price of your service or product, before they find out if you ship to their area, and before they read reviews of your online business, they will judge you based on your website. If your website isn’t stunning and easy-to-use, don’t expect them to ever make it to the checkout. 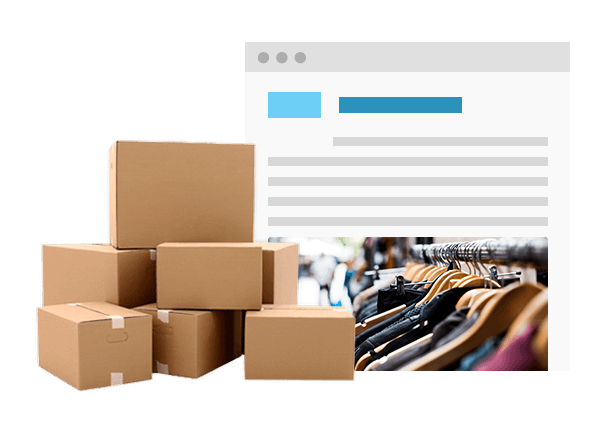 Developing a conversion-focused website for your ecommerce business or online retail shop requires a clear funnel from discovery all the way to post-checkout with calls-to-action, a tailored experience, and other facets of conversion rate optimization. Digital-savvy customers demand an online experience that matches what they would experience in a store. 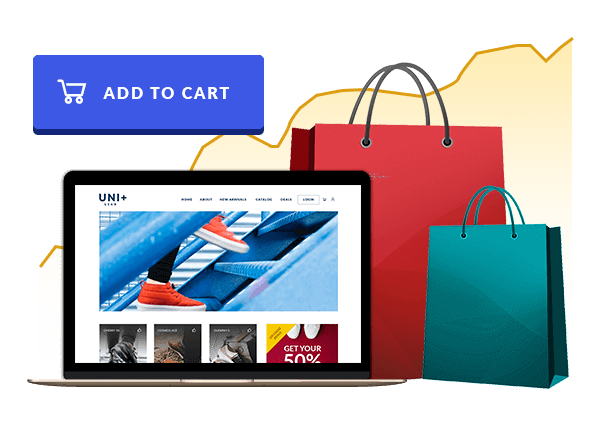 We can help give that to your target market with our web design & development services for your ecommerce business on WordPress with WooCommerce integration or on Shopify and Magento ecommerce platforms. More People are Shopping Online. Target the Right Audience with Google Adwords. Our team has helped merchants all over the world reach their revenue goals by putting their websites in front of their future customers with Google-friendly SEO. But even the best SEO strategy can take time. If you need to put your ecommerce website on the first page of Google immediately, we can help with paid search and display advertising. Wondering why you would want to pay for traffic when you can get it free with SEO? A well-developed PPC advertising (pay per click) strategy targets keywords that are transactional in nature. The people using these keywords are already in the buying stage of the sales process. Advertising your ecommerce website with Google AdWords provides a measurable way to maximize ROI. With search engine marketing, you can retarget visitors who made it all the way to checkout but abandoned their shopping cart. We can even target them with ads for the very items in their abandoned cart. Our team can also set up your account on Google Merchant so you can display ads on Google Shopping. Content Marketing That Drives More Than Traffic. It Drives Revenue. Content Marketing isn’t the first ecommerce marketing channel that comes to mind when merchants want to drive traffic and revenue for their online business. But it should be. Your future customers don’t always know that they need the service or product your online business is selling. They first need information or help to identify a problem that your ecommerce website can solve. Our high-quality content writers and an ecommerce content marketing strategy combine to address this business need and funnel your website visitors to the next stage of the buyer’s journey. Let us help your ecommerce website meet the demand for quality goods & services online!